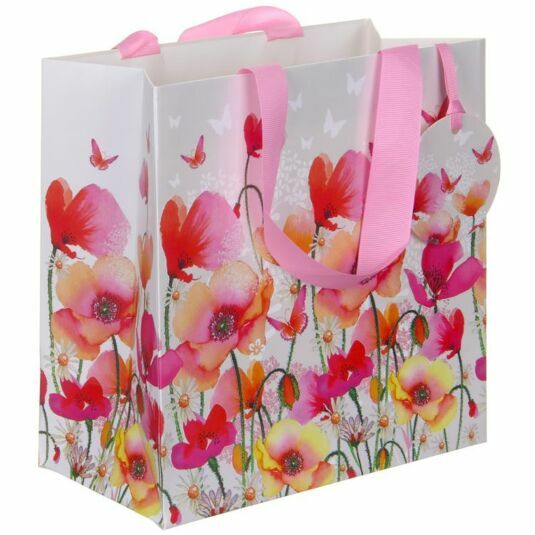 This medium-sized gift bag is perfect for presenting feminine gifts to anyone who loves bright watercolours and floral designs. 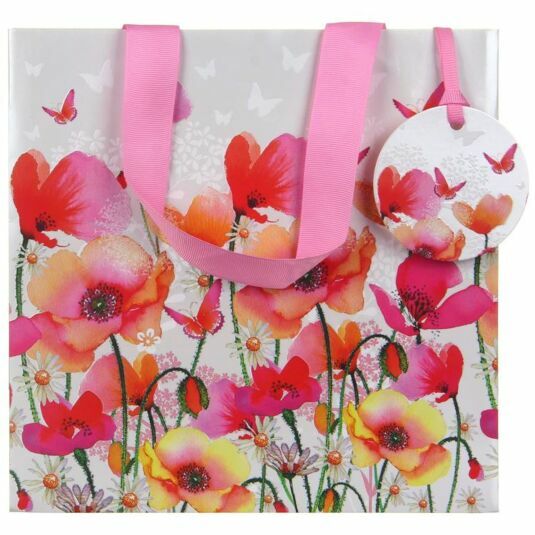 The bag features a field of poppies interspersed with daisies, beautifully painted in vibrant shades of pinks, oranges, yellows and corals on green stems. Matching butterflies flutter between the flowers. Part of the image is embossed in white. A matching label is attached to the pink ribbon handle.